JoAnn Sciarrino is the Director and Isabella Cunningham Chair in Advertising in the Stan Richards School of Advertising & Public Relations. Sciarrino is an advertising and marketing practitioner and scholar with research interests in digital marketing, analytics and brand attachment. 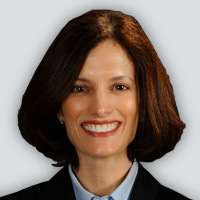 Prior to joining the University of Texas at Austin, Sciarrino was the Knight Chair in Digital Advertising and Marketing at the University of North Carolina Chapel Hill School of Media and Journalism, where she taught courses in digital marketing and market intelligence to undergraduate students. Sciarrino also taught digital marketing to M.B.A. students in the UNC Kenan-Flagler Business School. In 2016, Sciarrino received the University of North Carolina Tanner Award, which recognizes excellence in inspirational teaching. Sciarrino’s research has appeared in various academic journals, including Journal of marketing Theory and Practice and the Journal of Digital and Social Media Marketing. Sciarrino is co-author of the book “The Strategic Digital Media Entrepreneur,” which was published by Wiley Blackwell, and is currently authoring a second book on advertising intelligence to be released by Routledge in 2019. Sciarrino is a frequent invited speaker at numerous client and professional organizations on her digital advertising and marketing research, including the Association of National Advertisers, the Advertising Research Foundation and Content Marketing World. Prior to academia, Sciarrino served as executive vice president for BBDO North America for 12 years, where she provided research, analytics and modeling solutions for more than 30 global brands, including AT&T, Starbucks, Hyatt, FedEx, and L’Oreal.